This is a good old-fashioned recommendation of a good, old-fashioned movie about first love and a family that knows how to relate to each other. The movie also happens to be one the most touted during this Oscar season, celebrated for the beauty of landscapes and sensuality of imagery, some great acting and an interesting storyline. It also has a non-traditional romance but despite its reputation or may be even the screenwriter’s intentions, this is not really what makes the movie special. Let’s start with the story. A 17-year-old Elio (Timothee Chalamet) is on vacation in his family home, spending a long and lazy summer with his American father and Italian mother in an idyllic setting of northern Italy in 1983. His father is a professor of antiquity and every summer he invites an American doctoral student to spend some time with him doing research. This year, the student turns out to be Oliver (played by statuesque Armie Hammer)- a tall, gorgeous and confident 20-year-old who immediately charms the family and local youngsters as well. The hot, languid summer rolls slowly in lush countryside, with crickets chirping, water splashing in pools and streams, and happy cries of sun-tanning teenagers resounding against the ancient stone walls. A romance rolls out ever so slowly too. Casual bike rides and long meals in the garden slowly but inexorably reveal to both Elio and Oliver that they are attracted to each other, despite casual trysts with local girls and an awkwardness of the family presence around them. Things are not that simple though. To say that the story is about a gay summer romance is to say that Hamlet is about a young man dissatisfied with his mother’s romantic life. This movie is a celebration of life slowly lived in appreciation of nature and culture, and a portrait of a young man yet unscarred by any of the life’s disappointments. Call Me By Your Name is set in the times when things were a bit different, especially in Europe and in the pre-technological period it describes. This is exactly as summer vacations looked and felt in any European country those days: long afternoons reading books or cooking or picking berries or sun-tanning in those precious rays of July sun. Passionate discussions at a dinner table about Buñuel movies. Bike or bus rides to a local grocery store. Lazy swims in a local pond or river. With the advent of AIDS, internet, cell phones, migrations and other societal pressures, the life in Europe is now less laid back and less close to nature. This movie captures so truthfully those more innocent times in a slow lane. It also portrays a family in a completely different way that we are used to seeing on screen. 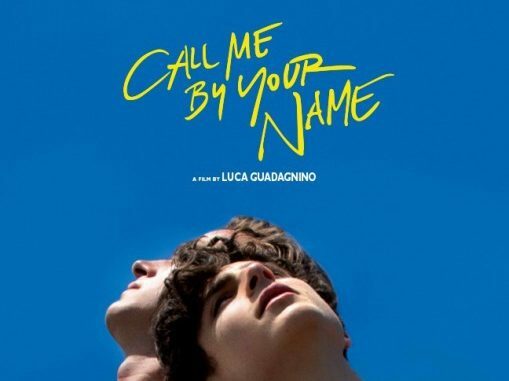 Call Me By Your Name is directed by Italian director Luca Guadagnino from a novel written by a cosmopolitan Jewish-Italian writer from Egypt (André Aciman) and a script by a celebrated art house director James Ivory of the Merchant Ivory filmmakers duo. It is therefore hardly a typical American drama and it is definitely an anomaly amongst so many movies and TV shows that analyze the dysfunction of home life. American families are rarely shown as truly harmonious and loving, even if in real life many of them are exactly that. In movies, strife and aggression are much more common. An Oscar-winning American Beauty was a chilling exposé of horrors that lie beneath a veneer of family life, a star-studded movie August, Osage County was a non-stop, vitriolic attack of family members at each other at a dinner table, and Rachel Getting Married was a family wedding preparation with every family conversation loaded with anger and remorse. The family life in this story is so strikingly and refreshingly different. It is the time before cell phones so everyone reads books, sometimes even loudly to each other after dinner. Sony Walkmans already exist but listening to music via earphones does not replace a normal conversation. Mother is an easy-going hostess and a non-judgmental parent. Father has a loving, supportive conversation with his son about the most awkward and intimate subject possible. A teenage son goes through doubts, confusion and a heartbreak but without raging outbursts at his parents or violence or malice against his peers. There are no angry accusations. The family is not dysfunctional- just the opposite- they talk to each other about their feelings and needs, they read books together and listen to music. Not every family communicates in several languages and listens to Bach but in real life a lot of normal families talk to each other with civility and do not accuse each other of unspeakable crimes at a family dinner. This is what this movie captures with such ease, functioning as a background for the main story. Education, culture, supportive family and understanding friends will still not save Elio from a heartbreak and pain but this is precisely the point. Suffering and joy are sometimes independent to surroundings. You can grieve looking at a gorgeous sunset and you can rejoice in filth and misery. Call Me By Your Name talent has already won several awards this season: James Ivory won Critics’ Choice and Writers Guild of America awards for the Best Adapted Screenplay, Timothee Chalamet won NY Critics Circle and Gotham Independent Film awards. The director, screenwriter and they young star have also received numerous nominations, including the Academy Award nomination for Chalamet. Clearly many industry professionals have recognized this unusual movie as something worth the praise, even if there is no typical Oscar-movie drama in it. This one is about a quiet drama of life just slowly enfolding.